Nothing will sharpen up and protect the exterior of your vintage Chevy car like the original Chevy bumpers that were made for your particular classic Chevrolet model. Realize the vision you have for your restored vintage Chevy car with our authentic classic Chevy car bumpers. When your Chevy car restoration project is finished, you'll be as proud of your vintage Chevrolet dream car as we are of the integrity and quality of our used Chevy auto parts. Chevy Supply of Assonet offers an excellent selection of authentic, reasonably priced, quality vintage Chevy car bumpers. We also stock all of the Chevy car bumper accessories you'll need for your classic Chevrolet car restoration project. 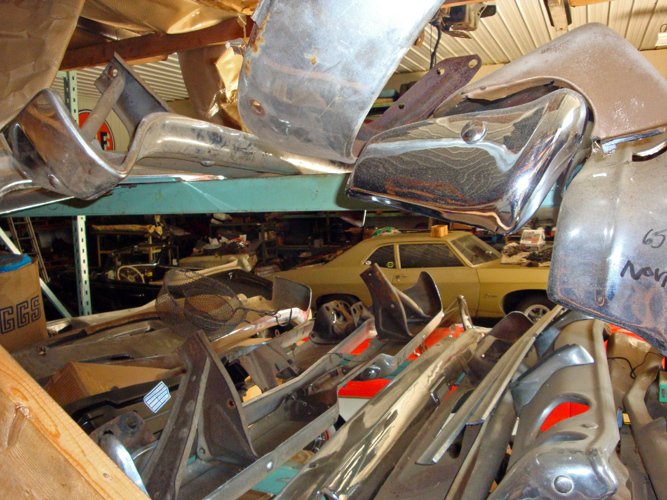 Our vintage Chevy bumper inventory includes: Chevy car front bumpers, front bumper filler panels, Chevy car rear bumpers, Chevy chromed steel bumpers, Chevy bumper bolt kits, Chevy bumper mounting brackets, Chevy bumper guards, license plate panels, and Chevy bumper filler panels. We have front & rear vintage Chevrolet car bumpers for most 1937-1972 Chevy auto models, including: Bel Air, Biscayne, Camaro, Caprice, Chevelle, Chevy 150 & 210, Impala, Malibu, Monte Carlo, and Nova. We also have vintage Chevrolet car bumpers for 1978-1987 El Camino and Malibu models. It is always a good idea to use original Chevrolet parts when restoring or repairing a classic Chevy car. 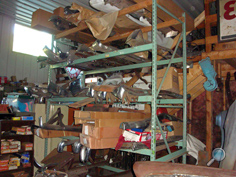 We have many Chevy auto bumpers in our massive inventory of original, authentic Chevrolet car parts. Call us to see if we have the right Chevy bumper that matches the model and year of your vintage Chevy project car.